Think twice before you click on any links in your inbox. 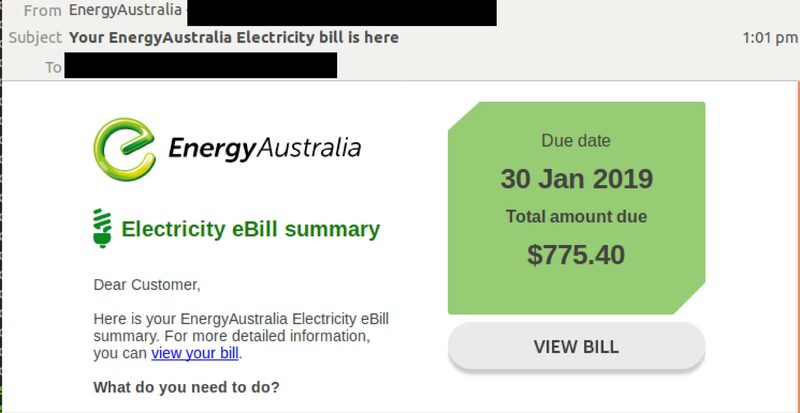 A huge flood of fake ebill notifications purporting to come from EnergyAustralia are hitting Australian inboxes today. MailGuard understands unsuspecting recipients who click on the link to view their bill are led to a malicious file download or to a blank page. 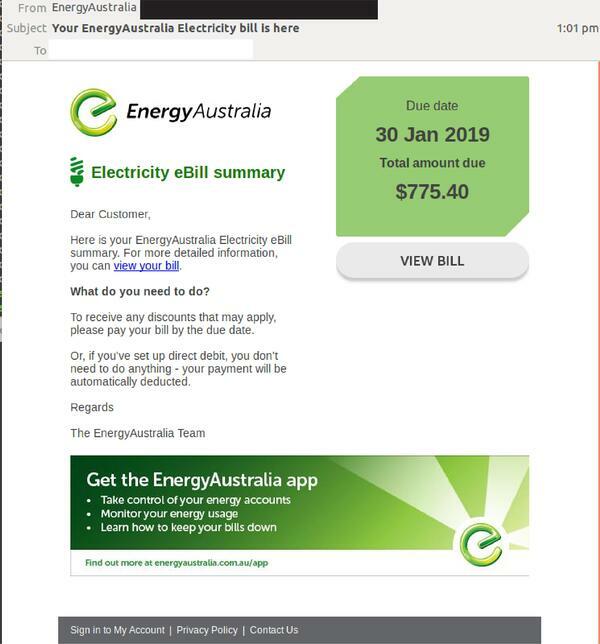 While this scam isn’t as sophisticated in design as others that MailGuard has seen, cybercriminals do use several elements within the email body to convince recipients that it is a legitimate notification from EnergyAustralia. A key feature is the incorporation of the energy company’s logo, branding and layout. Another red flag is the lack of a personalised addressee. The email does not address any customers directly, but instead refer to ‘Dear Customer’. EnergyAustralia, by its large database and established brand credibility, is an ideal company to spoof by cybercriminals as it widens their victim pool.